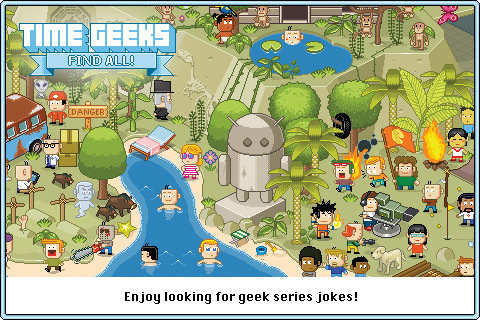 Announcing the release of new game for iOS consumers called Time Geeks: Find all! Time Geeks: Find all 1.0 developed by Ivanovich Games represents retro style seek and find game. While playing you’ll find yourself just like in the 80‘s, the game is based on awesome Pixel Art graphics and promises players a lot of fun. ﻿Time Geeks: Find all is enjoyable game for everyone as it offers users increasing difficulty and at the same time always keeps within reasonable limits. 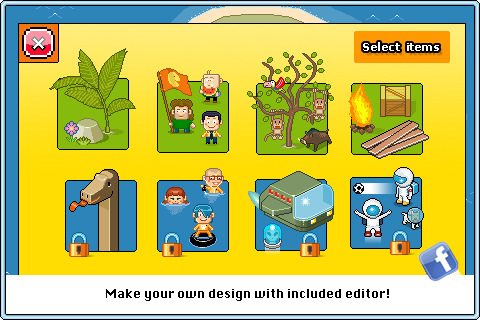 Consequently, the game is simple and easy to understand in both the main game as well as the mini-games. Additional plus of the game is it’s the sense of humor. The graphics and the original music are designed by the artist Markus Gmur. The descriptions of the challenges are specially designed to arouse the sympathy of the player. The pixel art scenes are filled with nods to various TV series - especially "Lost". We are sure that fans of Lost will find the two scenarios on the island extremely attractive. Time Geeks: Find all! 1.0 is only $0.99 (USD) in the launch week and available worldwide exclusively through the App Store in the Games category.